Allies of tobacco industry had tried to persuade government delegations before the global tobacco treaty negotiations began in Moscow earlier this week. Adoption of strong taxation guidelines is a major leap forward in terms of public health and social justice. Governments who have ratified the treaty, adopted the taxation guidelines despite immense industry manipulation and interference. The day before the meetings even began, the International Tax and Investment Center—an industry funded front group— organized an event to lobby finance ministers to oppose the life-saving taxation measures. According to a news published in The Hindu (4th June 2014), 2010 International Union Against Tuberculosis and Lung Disease (The Union) report ("The economics of tobacco and tobacco taxation in India"), documented: "52 percent to 70 percent of all beedis consumed in India have no taxes paid either due to non-compliance" or because the manufacturers supposedly produce less than two million beedis per year. That is the reason why beedi production is being outsourced to households. "We call upon the government to raise taxes on all tobacco products, without exception" appealed Rahul Dwivedi, campaign Director of Vote For Health. "We appeal to the government to increase taxes on all tobacco products irrespective of weight of pan masala or length of cigarettes. Historically taxes on beedi, or smaller length of cigarettes or smaller volumes of pan masala etc has been lower which is bad for public health. Excise duty should be increased three times on all forms of tobacco products. Also raw tobacco must be taxed" further added Rahul who was speaking to Citizen News Service (CNS). Delegates commenced the meeting by rejecting INTERPOL’s application to observe the treaty because of its financial ties to the tobacco industry and ejected tobacco industry representatives from the proceedings. These actions paved the way for the swift adoption of guidelines on taxation by the committee. Once approved by the full body later this week, these guidelines will provide a roadmap for the implementation of live-saving tax policy around the globe. In previous treaty meetings, tobacco industry infiltration has been a serious problem. Big Tobacco’s representatives are notorious for disseminating misinformation and intimidating delegates. At one point during a negotiating round of the Protocol to Eliminate the Illicit Trade of Tobacco, Corporate Accountability International determined that more than 80% of the people in the public gallery were connected to the tobacco industry. In a 2012 WHO report on the progress of the treaty’s implementation, a majority of governments reported industry interference as a primary obstacle to success. In response to industry aggression, an increasing number of countries are implementing a firewall strategy, known as Article 5.3, to protect health policy-making from Big Tobacco bullying. Delegates are expected to adopt policies to accelerate the implementation of this directive. 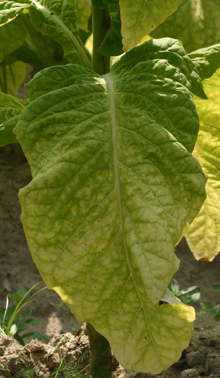 The global tobacco treaty (WHO FCTC) came into force in 2005. To date, 178 countries and the European Union have ratified the treaty, making it the one of the most widely embraced and rapidly adopted in history. It contains the world’s most effective tobacco control and corporate accountability measures— estimated to save 200 million lives by 2050 if fully implemented.